University of Uyo (UNIUYO) has finally open doors for application to qualified students / candidates for the 2019/2020 academic session. 1st or second choice candidates who seek for University of Uyo (UNIUYO) Admission 2019/2020 should see requirements, Application Process and be Ready for the Unified Tertiary Matriculation Examination. VERY IMPORTANT: The University of Uyo (UNIUYO) Post UTME Admission Form for the 2019/2020 is not available at the moment…we will advice that you to stick around or better bookmark this very page once the UNIUYO Post UTME Admission Form 2019 is out this page will be updated immediately. While waiting for the University of Uyo (UNIUYO) Post UTME Admission Form/DE Screening Exercise for the 2019/2020 see how it was conducted previously. This is to inform all the candidates seeking admission into the University of Uyo (UNIUYO) DEGREE PROGRAMMES that the post UTME screening exercise application form for the 2018/2019 academic session is out. Candidates The Are Eligible for UNIUYO Post UTME. Candidates who made the University of Uyo their 1st Choice in the 2018 Unified Tertiary Matriculation Examination (UTME), and had a minimum score of 180. 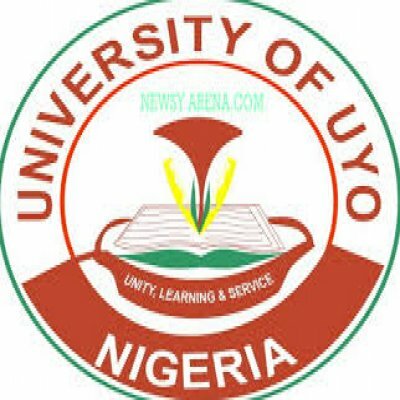 How to Obtain UNIUYO Post UTME Form. CLOSING DATE: Sunday, July 22nd, 2018. The same passport photograph used for the online registration will be used during the screening exercise and for registration after the offer of admission. Candidates who up-load wrong bio-data will automatically be disqualified. Inconsistency in passport on the registration slip will not be acceptable to the University. Candidates’ names on their O/L results, UTME results and other registration documents must be the same. UNIUYO Post UTME Screening Timetable & Requirements. Agric. Economics & Extension , Animal Science. Crop Science, Fisheries & Aquaculture. Food Science & Technology, Forestry & Wildlife. The original and photocopies of candidate’s academic qualifications SSCE,0/L,NECO, NABTEB etc. One (1) copy of the University of Uyo 2018 ONLINE registration form duly completed with the passport-size photograph printed in colour. One (1) recent passport-size photograph on red background with name, UTME registration number and signature of the candidates on the reverse side of the photograph. These should be packed in quarto-size envelope and labeled with name, department and JAMB registration number. VENUE FOR THE SCREENING: As indicated on candidates’ Registration slip. Thank you so much for taking a Tour on this post (University of Uyo (UNIUYO) post utme admission form 2019/2020 academic session) we have take time to officially dish out Top Information and Now it’s turn to show us a little gratitude. Help us spread the information by making use of the sharing button Below, and don’t forget to subscribe to get great News and other Information, we wish you success in all your endeavors…Stick around for more Info.